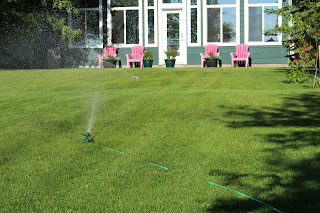 Getting your lawn ready for Spring is easy with a little help from the experts at Altitude Sprinkler and Landscaping. As the temperature starts to climb and you look forward to spending more time outside and in your garden, now is the perfect moment to give your lawn some TLC. The first step in getting your lawn in good condition is to pay attention to your soil. Healthy soil with a proper level of nutrients and humidity is necessary for a beautiful lawn. Over time, the soil tends to compact down, making it more difficult for roots and water from your sprinkler system to penetrate it. Aerating your soil will loosen it up and allow the flow of oxygen and moisture to return. You can rent a core aerator machine for around $40 and get the job done by yourself if you have the time. Once your soil is taken care of, you can deal with the existing grass. With temperatures in Colorado at times dropping below zero during the winter months, many types of grass struggle to thrive. If you have cool season grass such as fescue, perennial ryegrass or bluegrass you shouldn't need to do much maintenance. For other types, including St. Augustine, centipede, Bermuda or buffalo grass, you will need to remove the accumulation of dead stems and leaves. Dead grass sitting on top of the soil will block sunlight from reaching the new shoots and can impede the absorption of water. Decaying organic material can also promote the growth of harmful fungus and diseases that destroy your landscaping. Mow this remaining grass close to the ground, leaving just one inch of growth. Removing the dead grass will encourage new growth and help regenerate your lawn to its former beauty. The last step in preparing your lawn for spring is to prevent weed growth. Once temperatures reach 70°, the seeds of many noxious weeds will start to sprout. Before the weather warms up, it is a good idea to put down a pre-emergence lawn weed preventer. You can find different brands in any garden center. Once applied and watered in, it will form a barrier to prevent seeds from sprouting. Remember not to sow new grass seeds if you are going to use a weed preventer, as they stop all seeds from sprouting. At Altitude Sprinkler and Landscaping, we understand that our customers do not always have time to follow each of these steps themselves. If you want your garden to look gorgeous in time for spring, but can't fit the work into your schedule, there is no cause for worry! We offer a complete range of lawn care and maintenance services. Our team can aerate your soil, clear the dead thatch from your lawn, treat it with weed preventer and of course, make sure your sprinkler system is in great shape. Getting your lawn ready for Spring doesn't need to be a chore. 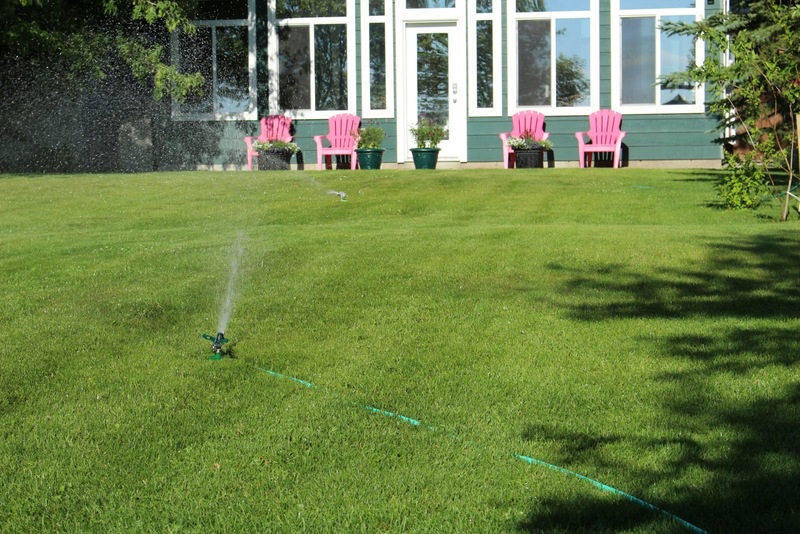 So, don't hesitate to contact Altitude Sprinkler to request a free estimate on landscaping services for both residential and commercial properties. We’ll make sure you spend less time maintaining your yard and more time enjoying it!